The success of outsourcing in e-learning depends on the quality of people management on both sides, especially the vendor side. Working together becomes smooth when both parties know their individual roles and responsibilities better. Once they clearly know what they are supposed to do and expect from each other, the process becomes streamlined. 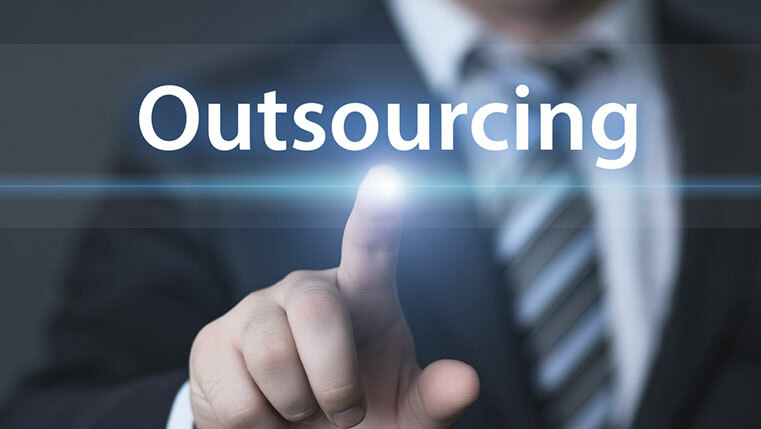 This blog explores the roles and responsibilities of each individual involved in e-learning outsourcing. Let’s get started. Stakeholders are the owners of the business requirement. So they will be apprehensive about the end result of the outsourced project. If they provide a clear direction to the team members, their outsourced e-learning project will take off without hindrances. They may not be e-learning experts, but wish to use e-learning to achieve their business goals. For example, training managers in organizations who want to develop online learning programs for sales training, product training, compliance training, software training. Trainers or Subject Matter Experts (SMEs) play a crucial role in e-learning outsourcing. As they understand the subject the best, they can guide the e-learning partner in designing valuable content for their training programs. They have good command over their subjects – products, processes, technologies, applications, and more. Without SMEs, it becomes difficult to define the scope of the e-learning content; they know what content and to what extent should go into the e-learning modules. They also clarify the doubts of instructional designers, fill content gaps (if any), and help them come with the appropriate instructional strategies. Sometimes SMEs overlook the value of e-learning, as they believe in the effectiveness of ILT. But they need to understand how e-learning can complement ILT and play a proactive role in training reinforcement and the other benefits it can bring in for organizations. Project managers are in-charge of the day-to-day operations of the ongoing project. Typically, they take the responsibility of coordinating with the e-learning provider. They need to maintain good rapport with the stakeholders and internal team members to ensure deliverables within the stipulated timeframe and of the desired quality. They need to have impeccable planning and execution skills. Sometimes, mistakes in project management can ruin the outsourced e-learning project. So, it’s important to define the project scope in agreement with stakeholders and maintain continuous rapport with them to make e-learning outsourcing a success. Instructional designers, visual designers, multimedia experts, graphic designers, and interface designers are the learning design experts. They have expertise in learning and development, and e-learning. Instructional designers know instructional design principles and are well versed in adult learning styles. They provide the blueprint (Storyboard) for the e-learning course that developers build on. Visual/graphic designers develop the visual elements that go into the course such as the GUI (Graphical user Interface), images, icons, buttons, and layouts. Multimedia experts are adept at using various software including audio/video editing tools. They develop the required animations, videos, etc. Authoring tool experts are proficient in eLearning authoring tools such as Articulate Storyline, Lectora Inspire, Adobe Captivate, Flash, along with audio, video, and image editing software. They utilize the content and multimedia elements to develop a functional e-learning based on the blueprint. Technology experts ensure the eLearning courses are hosted online on the desired platform known as a Learning Management System (LMS), in the specified format, They ensure the courses are AICC or SCORM compliant so that the learning progress can be tracked and reports generated. They play a vital role in helping learners access the e-learning courses on their systems. Quality analysts check whether the developed e-learning courses meet the quality standards in terms of content, functionality, and adherence to client requirements. They also perform learn ability tests to check whether the course is easy to access, and navigation for learners. Developing e-learning in-house may push the stakeholders, trainers, and Subject Matter Experts to play multiple roles, if they do not have enough employees with the required competencies for each role. In an effort to fulfill each role, they may not do justice to all functions. This can hamper your e-learning effectiveness and may not give the desired results. When you outsource the requirement of your e-learning, ensure the e-learning vendor has a dedicated team for each function so that they work efficiently and concentrate enough on your project. You can get far more superior results, as they have domain expertise. Being a stakeholder, you can be tension-free of the outsourced e-learning project’s success.